Actually, it’s quite thought provoking to speculate as to why these particular topics were “top of mind” for the diverse international audience that regularly follows this blog. Please let us know your hypothesis or thinking by posting a short comment. 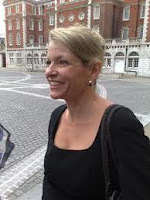 Dr. Maino’s blog is a remarkable read for those who desire to learn more. He also recommends reading a compelling book by Susan Barry entitled: Fixing My Gaze: A Scientist’s Journey into Seeing in Three Dimensions. With increased societal exposure to 3D movies, 3D home television, 3D gaming, and 3D education, comforting stories of identification, treatment, and eventual transformation are rapidly spreading. You see, 3D projected images can now be used as a universal public health screening tool for vision problems that previously went undetected. Do you have any problems at all with viewing 3D? If so, see your optometrist as soon as you can. I post this link here in Future-Talk 3D so that we can all appreciate the importance of 3D vision health; so we can gain a sense of educational urgency for children, in order that years of struggling in school can be avoided; and so that we recognize the emerging role of 3D technology in both identifying and treating vision challenges. You may not know it, but Johnny Depp is unable to see 3D movies. Read more about that here. But that hasn’t stopped him from producing Hugo, the best breakthrough 3D movie I have seen since Avatar. Directed by the renowned Martin Scorsese, I can only suggest you run (not walk) to a theater and see this movie. Many of my friends and relatives recently have stopped going to 3D movies, citing visual dullness, drab conversions, and minimal negative parallax, but this powerful film demonstrates the type of creativity that will certainly bring the doubters back. This film, based on the Caldecott award winning book, The Invention of Hugo Cabret, employs 3D for distinct artistic and visual advantage, a remarkable feat. It features extraordinary 3D portal views, multiple layers of positive parallax, and positive parallax that is almost as good as negative parallax. And one more thing. The movie successfully revives, after an uncomfortable drought, the beauty and importance of negative parallax. This movie shows what is possible for the future of 3D, and for the future of 3D in education. I will write about that in a future post. For now, take time to be delighted. See the movie. And that’s not all. I love their new stickers, which carry the themes “Give Me Three!” or “I See 3.” Note the three froggie fingers. And the cool glasses. You get it! Kids will love these, and that same time it will promote awareness for the importance of both 3D and healthy vision. 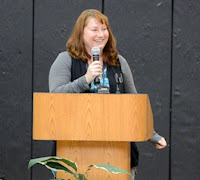 Described by students as "better than an encyclopedia and the Internet," Monarch High School biology teacher Kristin Donley was recently named the 2012 Colorado Teacher of the Year. Why is this important in the world of 3D? You see, Kristin, was one of the nation’s first 3D educators. 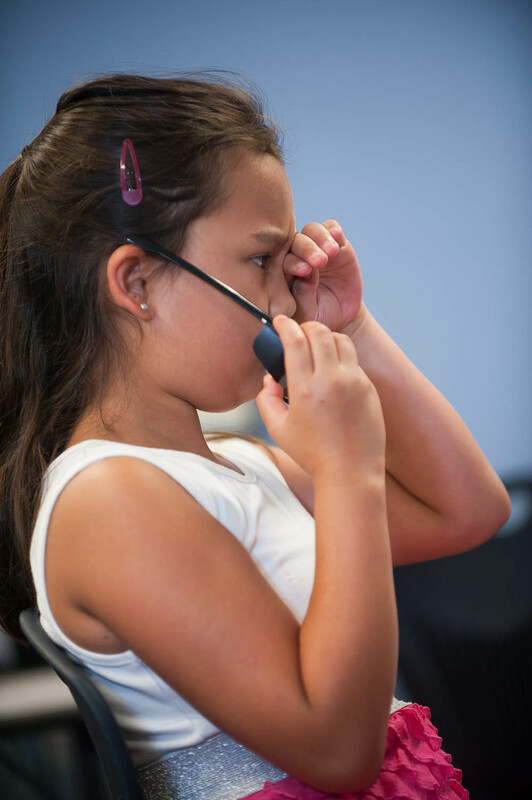 She was a lead teacher in the BVS3D case study, a lead teacher informing the American Optometric Association’s (AOA) See Well, Learn Well report, and has provided captivating presentations at ISTE and technology conferences over the last two years. She is a talented and influential force in shaping what the 3D classroom is and ought to be. This honor is doubly important. It confirms that teaching with 3D is not a fringe activity—it is a technological tool used by our nation’s best, brightest, and most creative teaching professionals. Kristin represents the long line of creative teachers who have been drawn to the promise of 3D in teaching and learning, not to mere hyperbole or technology fads. Megan McDermott, a Colorado Department of Education spokeswoman, agrees: "The award is quite prestigious—the recipient becomes the Colorado nominee for National Teacher of the Year." Kristin Donley received both her undergraduate and graduate degrees in molecular, cellular and developmental biology at the University of Colorado at Boulder and has been teaching for 17 years, with 10 of those years at Monarch High School, in picturesque Louisville, Colorado. She is surrounded by many equally talented peers, but we take this time to honor her singular talent and dedication. Congrats! Concluding our series on North Carolina’s 3D Jedi, (see post 1 and post 2), it is fair to say that Epps has not made it this far without solid commitment from his community. Epps notes: “The BRAC Regional Task Force, which is a base realignment and closure group (an organization closing bases across the country, consolidating troops, and relocating them to new areas) led the initial effort by funding our previous program, placing 3D labs in eleven high schools.” And now, BRAC is ramping up their investment. “BRAC aims to further shape the educational landscape of the 21st Century” by expanding and adding more content and equipment, totaling thirty-one systems in eleven counties. As a result of Epps’ G.R.E.A.T. 3D Academy, some local business leaders have also changed their perspective about education: instead of thinking that schools should be producing a traditional workforce, they now believe that high schools are capable of producing a highly skilled workforce. Again, Ben Dibble reflects that his work in producing stereo 3D as a student “helped me become very independent and, at the same time, it taught me to work with a group. It taught me not to wait for opportunities to open up, but instead make my own.“ Given the current STEM (science, technology, engineering and math) education challenges we face, Jeff Epps appears to be well along the road toward producing a highly marketable workforce, while investing in his state’s own and most promising resource—its potential-rich youth. It is becoming clear that not all 3D content development will emerge solely from creative production houses. Student-created content will soon become a disruptive element in the content development market. 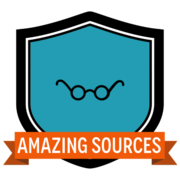 For that reason, I’ve always advised 3D content development companies to develop a simple authoring tool for student use. Then, I suggest they begin to strategically tap into this growing developer community well before it begins to tap into their revenues. "We see this as a great opportunity for students to use a 3D skill set to give them a better [and more relevant] understanding of math and science concepts. And what better concepts are there to visualize than the very concepts that they’re weakest in? If they can design it, they’re going to have to understand it. It’s a win-win: the student has now mastered a specific weakness in math or science and the teacher now has a tool that she can use with other students." Asking your students to design stereoscopic 3D learning objects can also leverage improved student performance in critically important science skills. Creating a visual model of the human cell can contribute directly to mastery of learning by students who struggle to understand abstract concepts that they ordinarily cannot see. Asking students to create stereoscopic 3D learning objects that require precise measurement, metric conversion, and tool calibration skills will go a long way toward cementing some of the most critical prerequisite skills in understanding science. 3D design projects also provide a powerful seedbed for improving other building blocks of science achievement, such as tentative explanation, putting raw data into graphical form, and, of course, technical writing. In a previous post, we introduced our blog readers to the 3D Jedi Knight, Jeff Epps. This post is a continuation of his story, more than a year later. Jeff Epps, the Director of Information Technology for North Carolina’s Richmond County Schools, has recently formed the G.R.E.A.T. (Globally Ready Engineering and Technology) 3-D Academy. His solution is effectively simple: take on any students who have the interest and aptitude for learning 3-D; connect those students with both a relevant context for learning and supportive classroom teachers; and then leverage that interest to enable students to reach higher levels of performance in science and math. 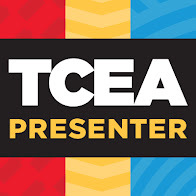 “You bring us any students that have the willingness to learn how to design 3D content, regardless of their academic challenges, and we can help get them to new levels of math and science, “ he states “—we can turn them into engineers and designers.” One student, Ben Dibble, serves as a clear instance of Epps remarkable vision. In our next post, we’ll take a closer look at exactly how Epps’ impressive project builds academic and technical skills through relevant, contextual, and authentic learning. A large-scale European research project, under the leadership of Dr. Anne Bamford (University of the Arts, London, Wimbledon) just been released. The LiFE I (Learning in Future Education) study examined the use of stereo 3D in classrooms in seven countries, including the U.K., France, Germany, Italy, Turkey, The Netherlands, and Sweden. 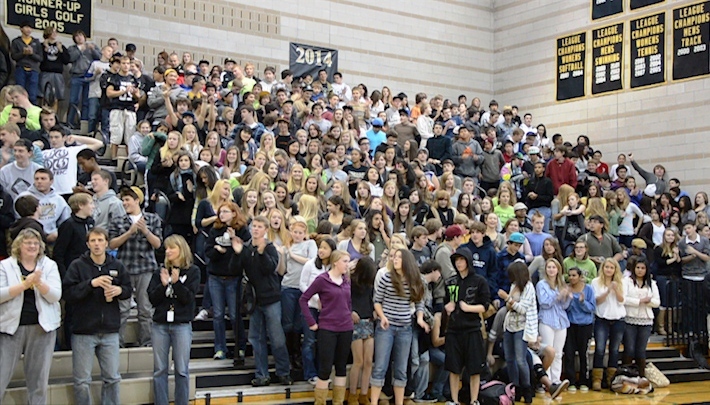 The project involved fifteen schools, fifteen classes, forty-seven teachers, and well over 740 students. This report is free, and available by registering at this link. It is clear that we are observing continued evidence that the educational advantages of using 3D in the classroom reverberate across oceans and distinct cultures. 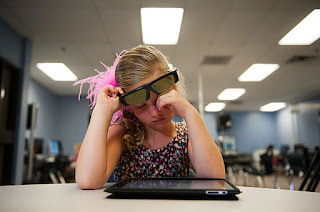 It appears we are improving our understanding of the way stereoscopic 3D affects the learner’s brain, how it impacts learning in the classroom, and how teachers can leverage this new medium to an advantage. 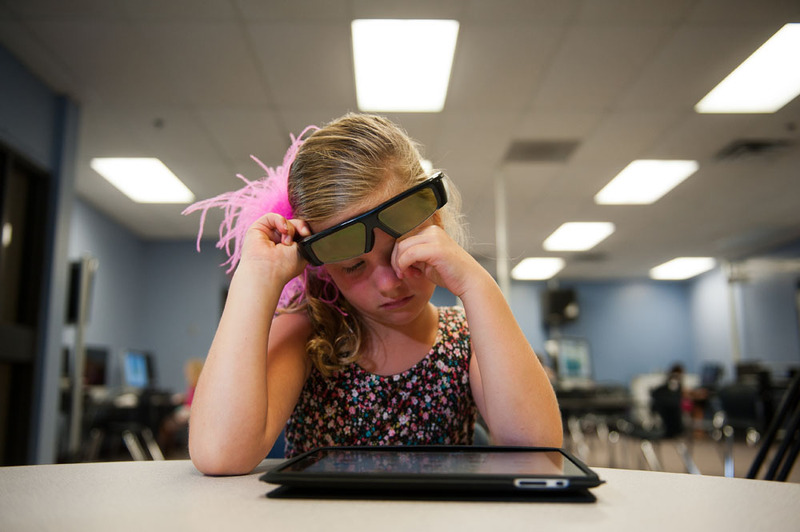 53% of parents surveyed* believe 3D viewing is harmful to a child's vision or eyes? Nintendo warns in their posted health and safety information that children below the age of six should not use their 3D technology? Neither of the above concerns have a foundation in fact, based on past and current research? As the K-12 educational advisor and member of the writing committee for the report, I am compelled to say that See Well, Learn Well is not only a significant national health report, but also an extraordinary educational tool for students, parents, schools, universities, manufacturers, and software designers alike. Not only is the main report well designed and classroom ready—Appendix C in the report offers a full range of websites, blogs, and other resources to extend your learning about the benefits of 3D in teaching and vision health. See Well, Learn Well is also supported by a rich and growing array of behind-the-scenes online resources. 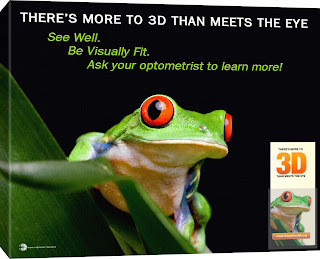 Go to 3D Eye Health for great videos and supporting information. 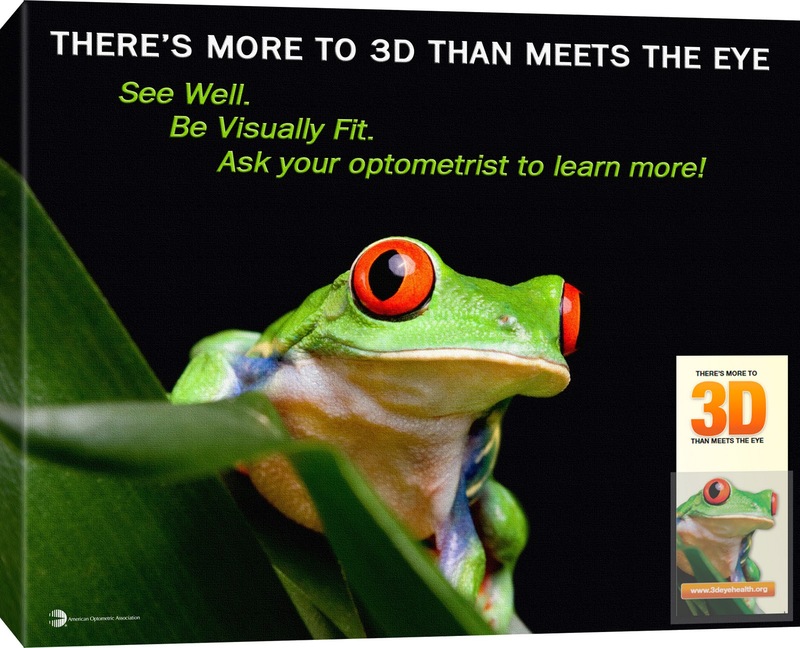 This support site offers highly interesting treatments of 3D benefits, the 3D’s of 3D Vision, and how you know when it’s time to see an eye doctor. The site also offers a growing FAQ section with such timely topics as disinfecting glasses and how long a child should watch 3D. Learn as much as you can. We are all a part of this important educational effort. It is important to note that the AOA’s position paper, “See Well, Learn Well.” is considered a Public Health Report. What does that mean? It means that this report carries both consequence and a very hopeful message. It carries consequence in conveying the message that vision matters—in learning and in life. You see, if a child cannot see 3D in the natural world, that child will struggle in reading from an early age—and she will often struggle to see lessons from the back of the room. As she grows older, that same child will be less successful competing in athletics or safely driving a car. Her overall quality of life will narrow, as she will be less able to enjoy the natural world that surrounds her, which is, of course, a 3D world. The report carries consequence by demonstrating that 3D carries profound implications for improving the nation’s vision health. The report is also hopeful. It is hopeful because the report suggests that these new 3D technologies offer us a pathway that can lead to more successful educational experiences for our children. It is auspicious because this technology portends earlier diagnosis of vision disorders. It is promising because it carries with it the remarkable potential for fundamentally eliminating entire generations of eye disorders, such as amblyopia (lazy eye), through early detection. The message of “See Well, Learn Well” is straightforward. A child is diagnosed with a congenital eye disorder at age five—which is 5 or 6 years earlier than this would normally have been diagnosed. Then there are the stories of those who faced serious academic struggles in school until their natural 3D vision was addressed. The message is not lost on me either. I am legally blind in one eye—the result of childhood amblyopia—so I know what this means at a deeply personal level. 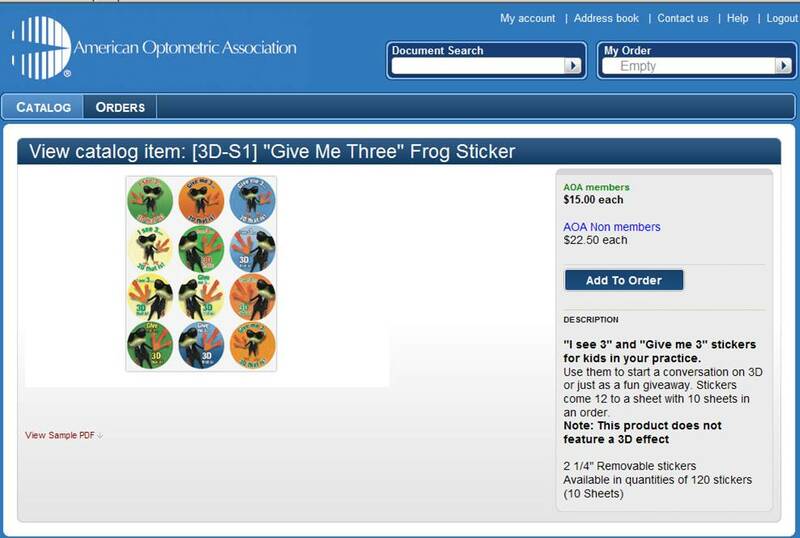 Late last week, after a year of eager anticipation, the American Optometric Association (AOA) released a new public health report “3D in the Classroom: See Well, Learn Well.” This national report recognizes a tremendous health benefit from viewing 3D and launches a two year national campaign to encourage the eye health of our nation’s youth. You can view or download the full report by clicking on the link above. Most educational 3D videos are already short in length (4 minutes on average—please refer to last week’s post). And classroom teachers don’t show 3D movies; they may use 3D vignettes or in-class simulations. Based on the See Well, Learn Well national health report being released in the first week of October, the only recommendation is to avoid showing 3D content for an entire class period, allowing the eyes to readjust to normal during the last ten minutes in class. There is no scientific evidence requiring such restrictive time limits (5-10 minutes) on viewing stereo 3D either in the classrooms, at the movies, or at home. Over my 37 year career in education, most often at the very vanguard of educational technology, I have kids have never seen kids become guinea pigs. 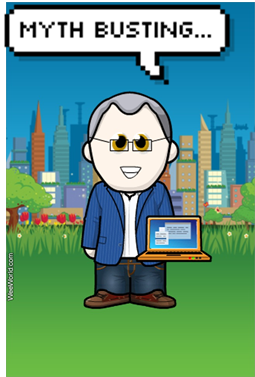 Schools, teachers and classrooms take on the roles of pioneers, early adopters, followers, or late adopters. All is undertaken for the direct benefit of student learning. Costs are rapidly coming down. When I saw my first stereo 3D classroom in a community college 7 years ago, the cost of the project was $44,000 and funded by a federal grant. Three years ago, the cost fell to $15,000 per classroom in an Illinois school district. Two years ago, the cost approached $10,000 per classroom. At the start of our project in Boulder, I estimated the cost at much less than $7,500 per classroom ($4,500 without any software included). 3D glasses cost $150 a pair two years ago, and this summer I saw 3D active glasses offered in the low 30’s. Within two years, I expect the cost will approach approximately $2,500 a classroom, including software. (And remember one system was shared by 3 classrooms in one of our schools, by the way). Can you see the cost trajectory here? This happens with all cutting edge technologies, as they trace their pathway from innovation to systematic adoption. Costs come down. 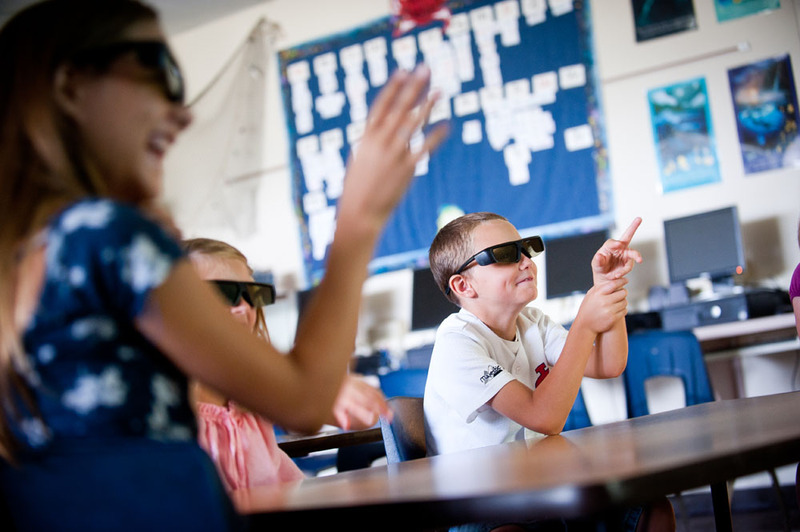 As we wrap up our series on the importance of common language, let’s focus on stereoscopic 3D in the world of education (or, eS3D). 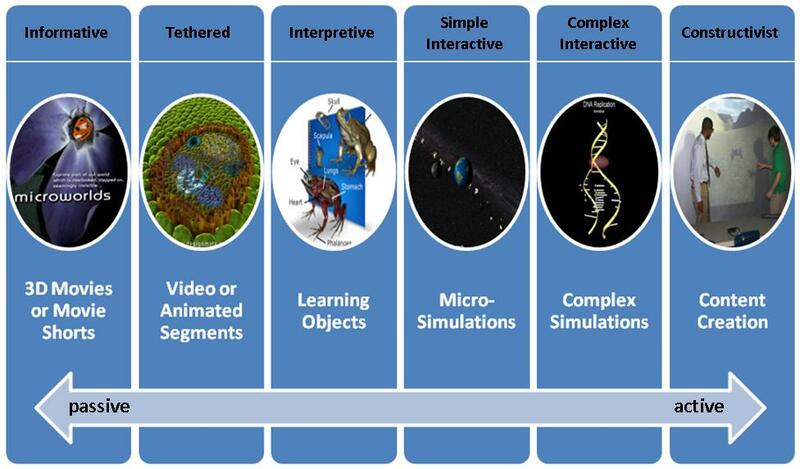 Confusion about what we mean by educational 3D content is still widespread. In fact, a dozen-or-so talented 3D content producers I have chatted with recently think it is all about 3D movies. Although some big players seem satisfied with plans to roll out content associated with the first category (movies), this is the content least in demand by educators. Second, the kind of eS3D that educators require is generally shorter in length than other 3D content. Third, it involves less rapid movement and is far more static, than the images one sees in movies, games, or 3D sports television. 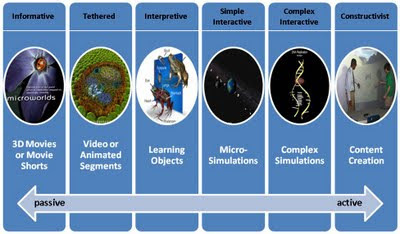 Fourth, eS3D is often interactive in nature. Last, eS3D more richly favors negative parallax over positive parallax in highlighting essential learning. Content developers that think otherwise are just barking up the wrong tree. What is your opinion? Please post your thoughts. This personal experience reflects the challenges we face when we don’t subscribe to a common language—a shared understanding—of the technology we embrace. I believe that this has now become a paramount issue, one vital for claiming the hoped-for footprint of 3D technology in K-16 classrooms. - Conference organizers obscure 3D presentations by shunting them toward less desirable venues, times, or days—or they deny presentation proposals altogether. The above happen because decision makers (and I’ve talked to so very many) are very busy people, can’t always keep current in our constantly evolving technology landscape, and simply don’t understand what stereo 3D is (or they think S-3D is something that it is not). If we are hoping to convince school district leaders, persuade a principal, or induce parents to encourage classroom investments in 3D technology, then we need to be sure we have the same thing in mind. If we are planning to sell to schools, persuade distributors to carry and support products, or engage integrators to make it all work, then we need to be speaking the same language. Whether talking to parents, teachers, friends, relatives, professors, or casual acquaintances—it has become clear that the term 3D means different things to different people. Some think 3D is evidenced in Google Earth, when you zoom in to view a 3D-rendered scene; some think it is one of the 3D-like video games they play on their Xbox, PlayStation, or Wii; others think it’s nothing more than designing a 3D object using AutoCAD or SolidWorks; and still others see 3D as simply an entertaining app running on their Droid or iPhone. Even more people feel 3D best describes an immersive virtual world such as Second Life. Sadly, none of these is what we mean by stereoscopic 3D. But this lack of shared understanding is now getting in the way. 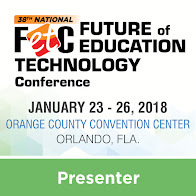 It’s getting in the way of teachers trying to explain it to principals; it’s standing in the way of resellers trying to sell 3D to education decision makers; and it remains a stubborn obstacle obstructing the pathway of 3D content providers trying to explain their visually rich offerings to all of the above-mentioned groups. So, in this and a short series of coming posts, we will attempt to conjure up a common language about what 3D is—with a surprise ending—how educational 3D is different, still. "There is a lot more content" for a 2D projector. "The direct cost of a 2D projector is less than" a 3D unit. "3D [projectors] need to be kept sterile"
All DLP 3D-ready projectors are first and foremost, 2D projectors at the same time. In fact, a 3D projector is used as a 2D projector most of the day—and when you want to see 3D, your software simply tells the projector you are in 3D mode. Since all DLP 3D-ready projectors are also 2D projectors, they have access to all available content, whether 3D or 2D. The reverse is true for 2D-only projectors—they cannot project 3D content! Our 3D projector cost $520 with 3D. If we had purchased it without 3D built in, it was $520. Do the math. 3D projectors do not need to be kept sterile. 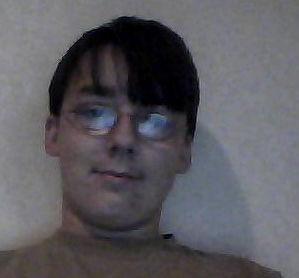 Neither do glasses. The word "sterile" is a bit overstated. The recommendations found in the coming See Well, Learn Well report suggest the following common-sense guidelines: "Disinfect the 3D glasses thoroughly after viewings. This is most easily accomplished by using anti-bacterial sprays or wiping down each unit with a single disposable alcohol pad after use." And by the way, kids like the glasses. “2D is what you expect in a classroom.” Over my career, I have been involved in the design and building of nine new schools and over twenty-six major remodeling projects. Over the span of those years, I often heard this kind of statement. It usually referred to such technologies as chalkboards, overhead projectors, analog clocks, VCR players, and CRT monitors. We build for the future, not the past. In the previous blog post we announced that SchoolSAFE is currently developing a 3D training simulation for school emergency preparedness. Two key questions surface: “Why use 3D to do this and how does all of this fit in with school safety? By employing 3D video to train schools in crisis response, SchoolSAFE hopes to evoke a strong “training dividend” from the compelling nature of 3D content. 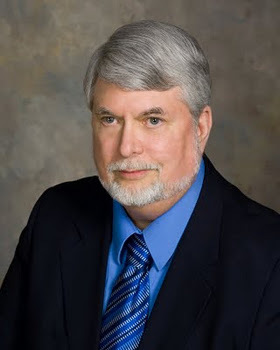 John Simmons (johnsimmons@schoolsafetypartners.org) explains that “by viewing brief 3D scenes, trainees can experience a level of stress that will test their ability to manage the incident as they communicate with first responders” while a school threat unfolds in front of them. “3D has such volume,” he reminds us, and that’s why his organization believes this will succeed. Simmons points out that most school emergencies must be addressed by school staff who are 7 to 20 feet away from the action. This corresponds to the distance from the 3D camera where the 3D effect would be most pronounced. And, according to Simmons, synchronizing 3D viewing with live two-way radio drills provides an intense interactive experience not common in the world of entertainment or gaming. In addition, using 3D offers some economic advantages. Simmons explains "in these tough economic times, this interactive 3D experience brings down the cost of drills and exercises, and offers more opportunities to schedule high-quality training so that all school personnel and students can benefit." These simulations can also help overcome the challenges of teacher turnover and new incoming classes by maintaining a consistent level of training for newcomers year after year. The goal of this partnership, an effort notably inspired and led by Colorado State Senator Steve King, is to bring this training to 30,000 school safety personnel and 800,000 students in Colorado, and ultimately to 2.1 million school safety personnel and over 56 million students nationwide. So how will schools react? Steve Hoban the Director of Operations, Security & Environmental Services for the Boulder Valley School District, is optimistic. “The use of the 3D technology holds great potential in the world of school safety,” he predicts. 3D technology and training simulations represent “an opportunity to be more efficient with training, while still giving the recipient a more realistic feel for the crisis event being addressed,” he adds.
" Using the immersive strengths of 3D media to better present, illuminate and stimulate educational subjects for students, teachers and leaders responsible for their academic success and safety, is an exciting opportunity. Once again, Colorado's community of committed educational stakeholders is leading the entire country in creating more exciting, and cost effective educational tools for this, and our next, generation of students. " From a partnership perspective, school safety’s entry into the 3D world will bring a variety of players to the table—hardware, integration services, content development, and advertising. 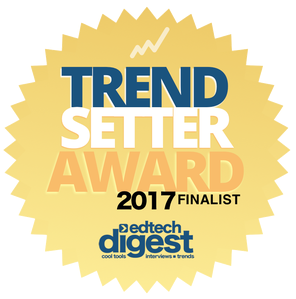 From an educational perspective, school safety could be a school district's first reason to invest in 3D classroom technology.